Even if your home came with a finished lower level, the chances are good that it wasn't much to celebrate. 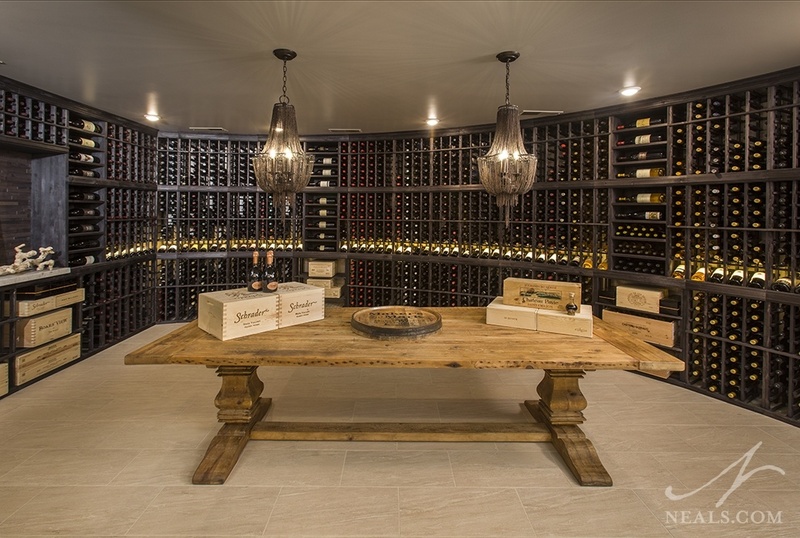 The basement is typically a last thought on the builder's mind, so the finishes, layout, and function all tend to be just lackluster enough to have any personality. Which makes remodeling the lower level a great project for customizing and upgrading your home for the needs of your family. Here are 5 lower level transformations from Neal's. The existing space in the lower level of this Indian Hill home was an odd room that was originally intented to be used as an exercise room. 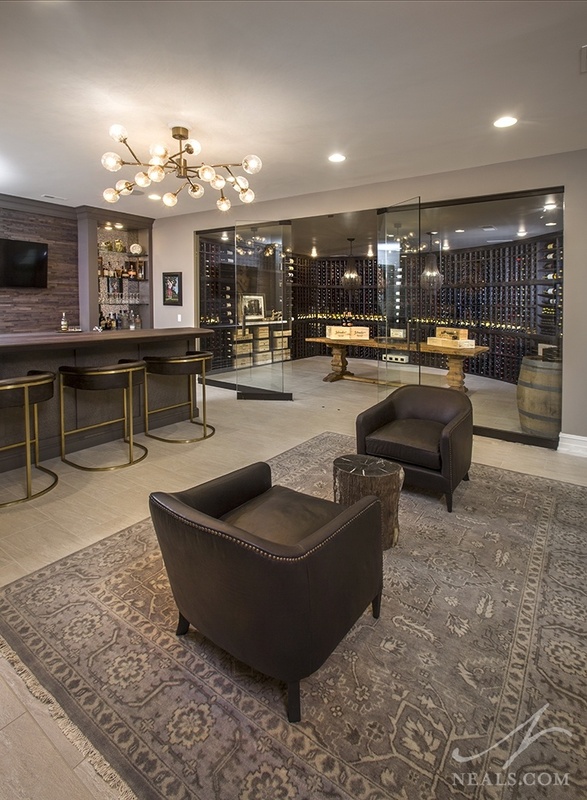 With outdated materials and a footprint that was significantly more than the homeowners required for their home gym needs, the space was repurposed to house a new bar area and wine cellar. The project focused on creating a solution that would allow this space to handle a range of hosting options. The remodel also focused on aesthetic choices that would update the look, and tie it into the updated style of the rest of the home. When the temperature starts to drop, our thoughts inevitably move to thinking about living the next few months cozy inside. 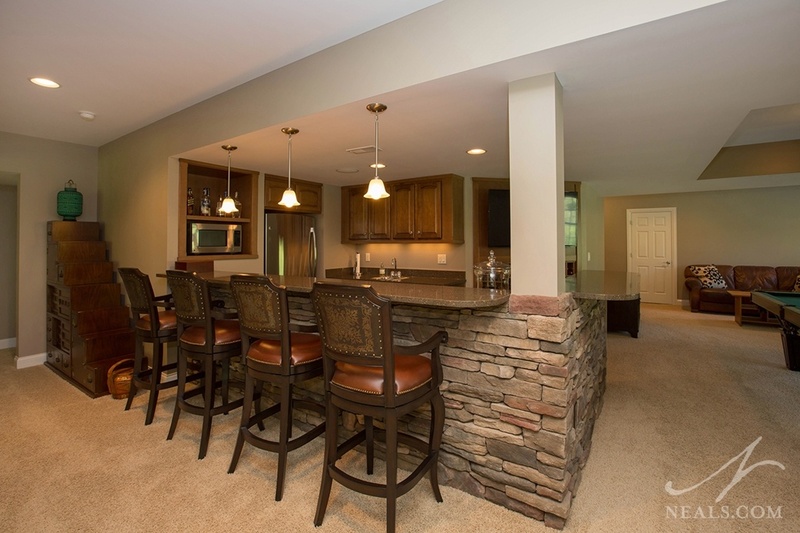 If your home has a basement, this is the perfect space inside the home for hanging out with family and friends. Here, we'll take a look at the five most common areas of lower levels for a well-rounded basement that will keep you entertained long into the dark of winter. Using stone as accents inside the home is a design option we've seen a fair amount of in our 40+ years of remodeling experience. That natural look and texture juxtaposed with interior decor creates a casual look, but also injects the timelessness of a rustic architectural statement. It's not, however, a one-size-fits-all option, and there are several ways you can go that can drastically change the finished look from one option to the next. 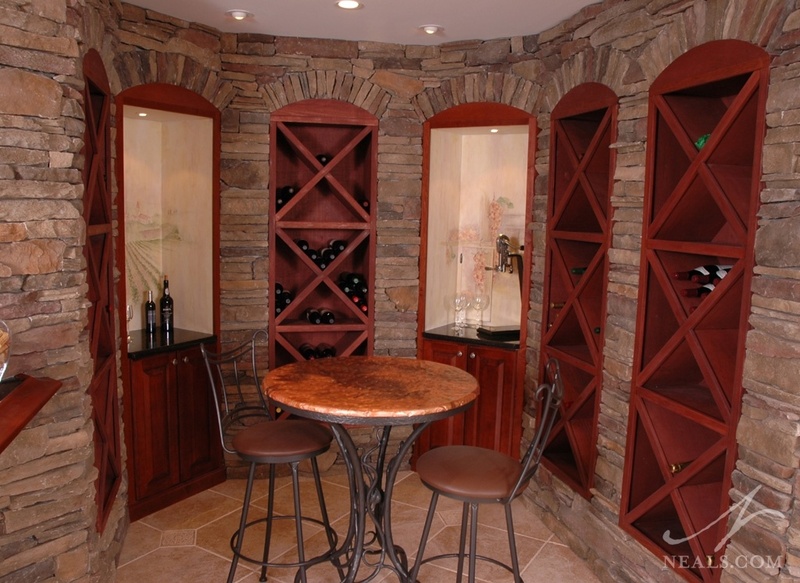 Here are the things you should know when choosing interior stonework for your home.